COLORADO SPRINGS, Colo. — USA Triathlon today announced that the Milwaukee School of Engineering will offer women’s triathlon as a varsity sport starting in the fall of 2018, becoming the 17th school in the nation to offer the sport at the varsity level for women. A national search for a head coach is underway. 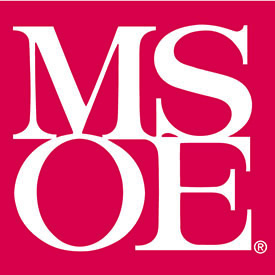 MSOE is the seventh Division III school to offer a varsity women’s triathlon program. The Raiders join fellow Northern Athletics Collegiate Conference member Concordia University Wisconsin in Mequon in the offering, as well as nearby North Central College (Naperville, Ill.). Other Division III programs include Centenary College of Louisiana (Shreveport, La. ), Marymount University (Arlington, Va.), Transylvania University (Lexington, Ky.) and Trine University (Angola, Ind.). The addition of triathlon to MSOE’s varsity sport offerings was made possible through a $70,000 grant from the USA Triathlon Foundation. The USA Triathlon Foundation Women’s Emerging Sport Grant is distributed to select NCAA membership institutions to develop, implement and sustain women’s triathlon programs at the NCAA varsity level. Milwaukee’s multisport community is thriving, as the city hosted the USA Triathlon Age Group National Championships in 2013, 2014 and 2015.